How well is your hotel positioned for direct business? Reach your hotel's full online direct booking potential and wake up to all that dormant profit today! 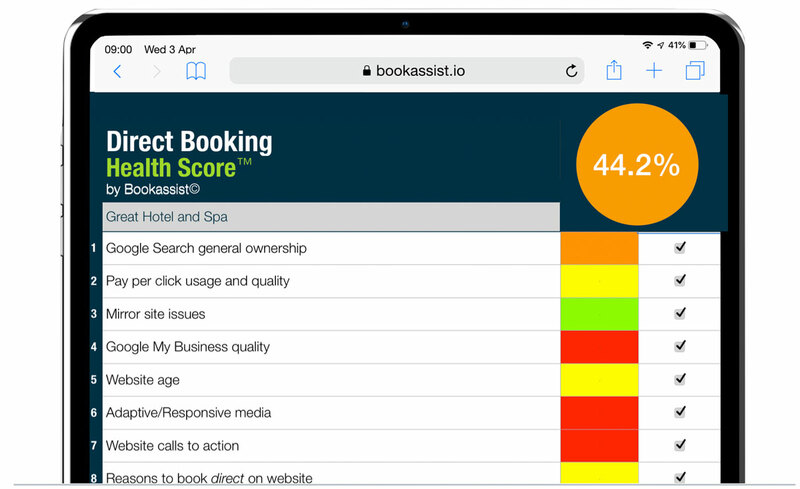 Bookassist’s Direct Booking Expert™ staff will benchmark your hotel’s online strategy against the highest industry standards. The full series of checks will result in an overall Direct Booking Health Score™ for your hotel. Our Google Premium Partner-qualified expert conversion team will conduct critical tests to provide you with your overall Direct Booking Health Score™. They will scientifically assess your hotel’s digital marketing strategy, search engine positioning, web design standards, website conversion potential and booking engine optimisation. They will benchmark your hotel against others, as well as providing best practice examples. 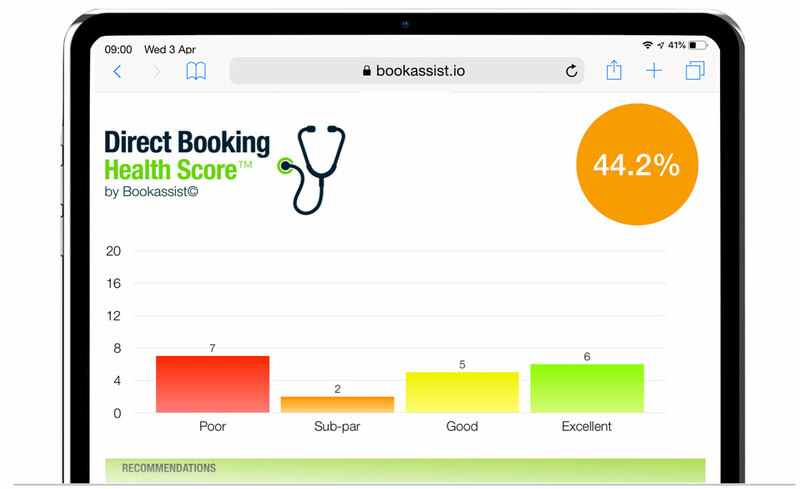 Bookassist will also outline practical steps your hotel can take to improve your own unique situation and we show you real live examples of hotels who are reaping the rewards of having higher scores.